Today I was working on a client’s website to optimize existing WordPress installation. 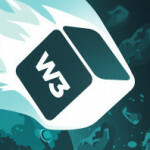 WordPress and most of the plug-ins required an update. After running the update I started getting blank screen when saving any page on the website or trying to purge all caches. Back in February, 2017 I wrote about unofficial row grouping plug-in for jQuery DataTables, see jQuery DataTables: Row grouping and checkboxes. However there is also official extension for row grouping – RowGroup. It works differently than unofficial plug-in and adds a separate parent row for a group of child rows. 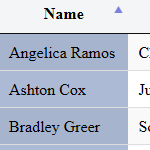 I added example demonstrating how to group rows in a table powered by jQuery DataTables plug-in and display checkboxes using Checkboxes plug-in, see RowGroup page for more details. 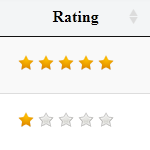 jQuery DataTables plug-in has lots of useful extensions that let you add extra functionality. Select extension is probably one of the most popular ones providing item selection capabilities. Usually it is used to select table rows or cells but it is capable of column selection as well. 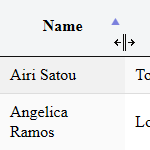 Past version of jQuery DataTables had column reordering plug-in ColReorderWithResize that also provided the ability to resize columns by clicking and dragging the point between two columns. However this plug-in was not compatible with the latest version of jQuery DataTables. Luckily Jeff Walter updated ColReorderWithResize to make column reordering and resizing work with jQuery DataTables 1.10 and released it under MIT license. 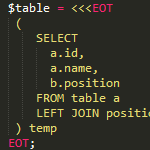 Came across a question on StackOverflow asking on how to use KeyTable plug-in to navigate rows instead of cells. 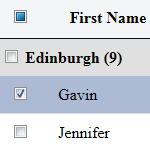 Currently KeyTable plug-in for jQuery DataTables lets you navigate cells but not rows. 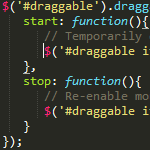 Recently I needed to add drag-and-drop support for an element that contained iframe. When mouse pointer went over iframe dragging stopped and that wasn’t accepted. 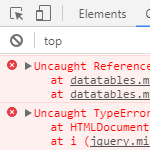 This is a typical problem for users just starting to use jQuery DataTables. It is caused by how it handles the table data. According to some usability studies “Load more” button is superior to pagination or infinite scrolling when it comes to displaying multiple records on one page. It is simple to use and allows user to compare records more easily because new records are added to the list. jQuery DataTables distribution comes with server_processing.php script and ssp.class.php class that add support for server-side processing and better performance for datasets with more that 10,000 records. However these files need to be tweaked if your query contains WHERE, JOIN or GROUP BY clauses.